Beijing, the cultural and political hub of the People’s Republic of China, is one of the six ancient cities and also the second most populous city of China. With its population of 22 million individuals, finding convenient accommodation and rentals in Beijing can be a real struggle. 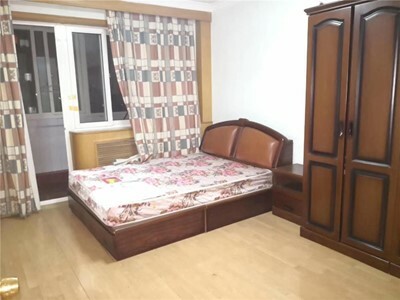 Beijing has a range of accommodation available, from excellent to atrocious, from luxurious to austere, from expensive to economical, furnished and unfurnished. But how does one find the most suitable rental that fits one’s budget and satisfies one’s requirements? The answer is simple. 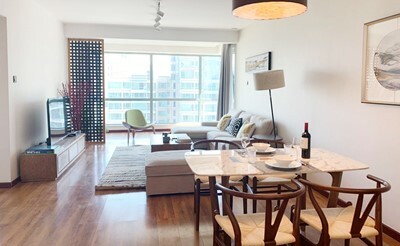 FlatinChina will help you connect with the broadest range of rental options available in Beijing so that you have an effortless and exceptional apartment hunting experience. One can face a multitude of problems if one is not familiar with the mechanisms involved in searching for an appropriate rental apartment in Beijing. Beijing rent prices are skyrocketing, so much so that in 2016, Beijing was named the most expensive global city to rent apartments in. The cherry on top, apartment hunting in Beijing can be a huge fuss if you do not speak Mandarin since most agents don’t speak English and real estate websites are in Chinese. But do not worry! We’ve got you covered. 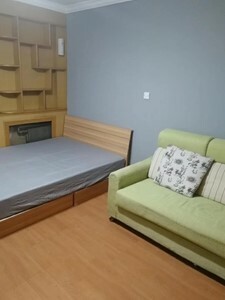 We provide the perfect platform for you to find all kinds of rental accommodation: shared rooms, shared apartments, serviced apartments, compounds and both long-term and short-term rentals in Beijing City Center. What’s more, you can search through these available options to find rentals according to your budget and needs as we provide specific details about each available rental. Capital economy code districts of Beijing. Carry commercial value as well as historical significance. Modern urban districts with good residential spots, beautiful environment and ideal services including transport. Vintage shops, indie boutiques, and stylish restaurants. Beautiful landscapes, rich culture, modern sci-tech industries, developed traffic network. Perfect for students as a lot of universities are located in these districts. The urban core of Beijing, tourism, scenic spots, charming natural landscapes, recreation, and entertainment centers. Municipal development of new districts. Historical with ancient sites. Ideal for expatriates as rental prices are not as high. Suburban areas. Formerly rural areas. Temples, ancient architectural sites, tourism is the leading industry, summer resorts, sparsely populated areas, convenient transportation. Where to live in Beijing? Beijing is one of the largest cities in the world and deciding where to can be a very tough decision. We will guide you through the most prominent districts and areas of Beijing according to your status and budget. Your lifestyle and priorities are significant factors in deciding the area and type of your accommodation. Let us delve into the range of possibilities and choices that are most appropriate for singles, families, and students desiring to reside and live in Beijing. Dongcheng district comprises of residential areas stretching across the area. 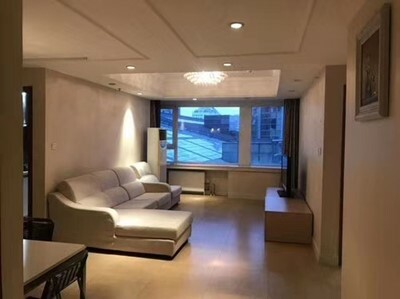 If you are a young professional looking for reasonably priced Beijing renting apartments or rooms, Dongcheng offers the finest Beijing rentals for expats. Surrounded by historical sites and traditional buildings, Dongcheng district invites tourists and expats to immerse themselves in a cultural lifestyle and environment. The Dongcheng district also offers relatively urban neighborhoods in Dongzhimen and hutongs filled with local restaurants in Beixinqiao. Thus, Dongcheng provides a blend of different surroundings to single professionals and expats living alone. Chaoyang is a district of Beijing with a large expat population. It is host to foreign embassies, international schools, and foreign diplomatic missions. Furthermore, an abundance of recreational activities, restaurants, residential areas, and shopping destinations makes it perfect for a family. Rental apartments in Sanlitun and other residential areas in Chaoyang will provide access to all these aspects. Beijing Chaoyang apartment rents, although cheap according to city standards, tend to be somewhat expensive for some people. If you are a student, Haidian district of Beijing is hands-down the best and most suitable living option available for you. The cost of rental accommodation in Haidian district is much lower than the other districts in Beijing. 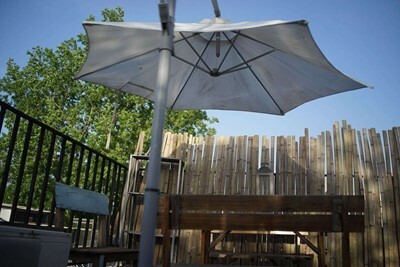 Moreover, Wudaokou is a very active district with lots of leisure activities including the best bars. If you are working for a technology company, chances are it will be in Zhonguangcun. Zhonguangcun is the technology center, featuring headquarters of various technology companies. 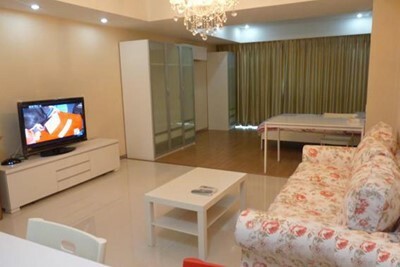 Renting apartments in Zhonguangcun is cheaper than in the city center. Beijing rent prices are somewhat dependent on the area or district you choose to live in. For example, the rentals in Beijing City Centre (Central Business District) have approximately double the prices than most other parts of Beijing. There is absolutely no doubt that the biggest chunk of your paycheque will be lost in rents. Other factors that determine the cost of renting an apartment or a room in Beijing are the extensiveness of the rented area and whether one wants to live alone, with family or share it with other tenants. Living in Chaoyang Park is relatively costly due to its international element as it is close to several international schools and shops. However, Dongzhimen in Dongcheng District is much cheaper, which makes it a very popular area among expats as well as locals to rent apartments in Beijing. Similarly, Beixinqiao in Dongcheng is a traditional neighborhood with apartments in the hutongs, which makes it desirable for many people. Wudaokou in Haidian district is the most admired option among students as Haidian is home to a considerable number of universities. This makes rental accommodation in Wudaokou much cheaper compared to most of the other areas in Beijing. Densely populated areas are much more expensive. However, as you move away from these commercial areas, such as the Beijing City Centre, flat renting and even house renting on a budget becomes much easier. Beijing housing - How do you want to live? There are some factors one would generally consider when renting an apartment, room or house in Beijing city center. The easy availability of public transportation, the safety of the community, the degree of noise and air pollution and the rental’s distance from your workplace play a key role in your selection, in addition, to obviously, the most significant one: location. Your requirements and budget determine the type of apartment you choose. It is highly unlikely that a student or a standard employee would have hidden/her apartment. Similarly, it is harder for a student or standard employee to find an apartment within their budget in a densely populated, commercial area. However, instead of renting one’s apartment, one can select from a range of other available alternatives such as shared or serviced apartments. Whatever it is that you choose, if you like an available apartment in Beijing, be quick to grab it before the apartment gets rented out to another. The chances are that if you liked it, others do too. A wide range of apartments of different styles, suited to different needs is available in Beijing Renting market. 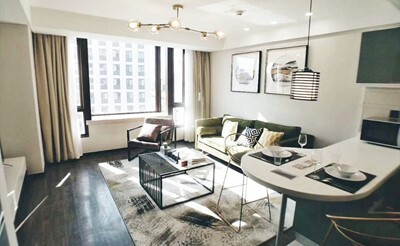 Unfolding as the trendiest type of accommodation, serviced apartments in Beijing can be composed of a single room (studio), and one, two, or three bedrooms. Serviced apartments are fully furnished and come with all the basic housing necessities and appliances. In Beijing city centre, serviced apartments can be found in commercial areas, residential areas or hotel complexes. You can save up to 20-30% on rent by staying in a serviced apartment instead of a hotel. The most prominent advantage of a serviced apartment in Beijing is that they operate similar to hotels, but are much more cost-effective. A variety of services are available in serviced apartments. These include but are not limited to daily housekeeping, swimming pool, gym, free breakfast, children’s area, health assistance, concierge service, and parking space. Thus, choosing a Beijing serviced apartment would mean that one gets to enjoy the perks of hotel living in a somewhat limited budget. Best places for renting a serviced apartment in Beijing is in and around Chaoyang District. 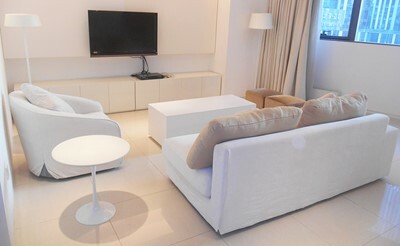 Moreover, there are also many serviced apartments in Guomao, Beijing’s financial area. Apartment compounds in Beijing offer a close knitted community of residents. Living in an apartment compound would be the ideal lifestyle if one wants to live in Beijing with family. Although the apartments in compounds can vary greatly, the compounds usually have facilities such as swimming pools and playgrounds. Most people, when searching an apartment compound, consider the distance of their children’s school or their workplace from it. A good apartment compound in Beijing will have lower noise levels, a range of apartments for you to choose from, friendly residents and recreational facilities for families such as tennis courts, gyms, swimming pools, playgrounds, 24 hour security and parks nearby or within the compound premises. Apartment Compounds in the city center are located usually in Chaoyang District. Since an increasing number of Chinese people are welcoming the notion of sharing their apartment with foreign roommates and students, shared apartments have become quite common in Beijing. By renting a shared apartment in Beijing, one can save a fair amount of money on rent as well as utilities. As you can save literally half the money or more that would have been designated to rent, you can now afford to live in a central location in Beijing or even go for a shared apartment which is more luxurious and spacious. Shared apartments are most suitable for students and single employees with a standard income. There are many shared apartments for young professionals and students in Haidian district, Chaoyang district, Dongcheng district and Xicheng district. Staying Beijing for a longer period requires a budget-friendly apartment. These long-term Beijing apartment rentals vary in prices. If you are looking for a cheaper option, you should look for apartments that are completely off the tourist circuit. As apartments in Beijing are mostly available for one-year contracts or six months contracts, hunting for long-term accommodation can be quite time-consuming and does not always bear fruitful results. 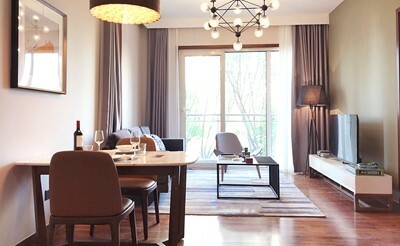 Most apartments in Beijing that are available for short term are also usually available for long term rental. Please keep in mind that you can negotiate a better price for your apartment in Beijing if you stay for a longer period. Contrary to the case of long-term rentals, short-term rental accommodation is readily available in Beijing. You can choose from a huge variety of different apartments that are in line with your requirements and priorities. Short term accommodation in Beijing will be very facilitating for you if you are in Beijing for a brief period. Most leases fall in the range of 6 months to one year, during which time the landlord cannot increase the rent. However, it is also possible to rent apartments on a monthly or weekly basis, please keep in mind that the rental prices might increase in that case. 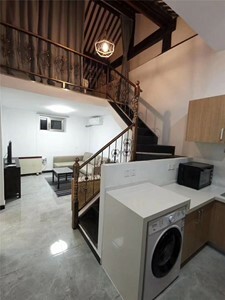 How do I find a cheap apartment in Beijing? The first and foremost answer is through online search engines, websites and housing platforms. If you are not Chinese, you will have to look through several websites in English. 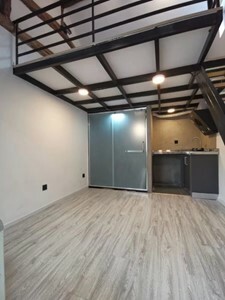 Most of these English websites are especially for connecting expats or international students to Beijing apartments or other accommodation that is appropriate and fitting to their needs. A great advantage of flatinchina.com is that you can filter your searches according to prices, location, apartment size, etc. to narrow down your results. This will aid you in a quick search and save plenty of time that could be wasted browsing through apartments that you apparently can not/ will not rent. FlatInChina is the only housing platform for expats in Beijing. Also, you might need the help of a Chinese friend or a translator as most Chinese landlords do not speak English. 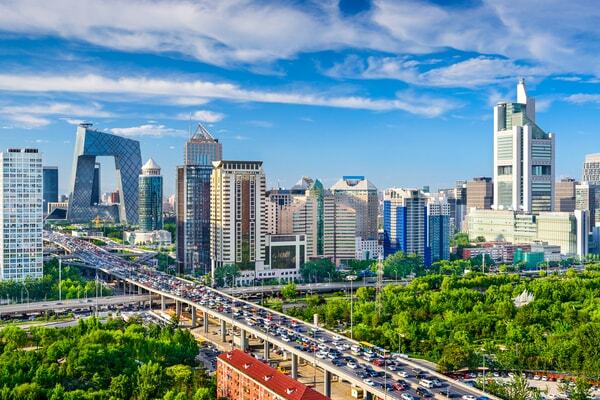 By eliminating the language barrier, you can open the door to lots of possibilities that you might have been unaware of and there is a high chance that you will find a cheap apartment in Beijing city center. We have already established that apartment hunting in Beijing is not an easy task. But by keeping in mind certain facts and trends, you can find your ideal accommodation for a reasonable price. Beijing comprises of several ring roads. The general trend for accommodation prices in Beijing is that the closer you are to a ring road, the higher will be your rent. Similarly, areas close to or in the Beijing City Centre are very expensive, roughly twice the cost for accommodation than areas off the City Centre. Thus, the farther you move away from commercial, densely populated areas, the lower will be your rent. By familiarizing yourself with the various districts, areas, and neighborhoods of Beijing according to your needs and budget, you can pinpoint the exact location where you would like to live and rent an apartment in Beijing. If you have any questions about renting an apartment in Beijing you can check out our FAQ sections. Happy hunting!